The Ciskei Bantustan in the Eastern Cape was created as an enclave for the South Africa’s Xhosa-speaking people as part of apartheid racial segregation. Despite Government rhetoric that this ‘independent state’ would encourage cultural protection and separate development of these people, the Ciskei along with other Bantustans served to provide White South Africa with cheap, controlled labour pools. The working population of Zwelitsha township, first declared the capital of Ciskei, were mostly employed in nearby ‘White’ towns such as Grahamstown. Later a new capital of Bisho in King Williams town was declared. Ciskei history dates to the early 1920s, when the South African Union government restructured the Bunga system that was applied to administer the area under British colonial rule. The Bunga, which was an advisory council, comprising traditional authorities and the educated elite held little power. 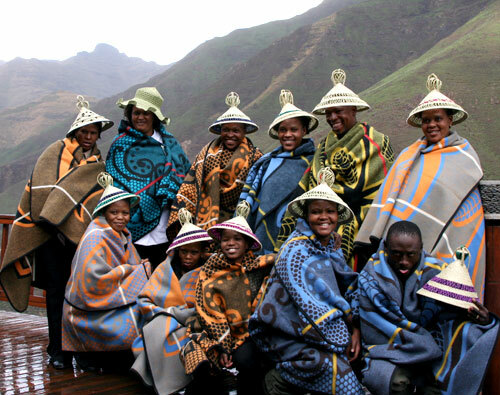 The Bunga local unit consisted of a headman or the traditional inkundla (local assemblies) system. Before colonial rule these were autonomous and their decisions were collective. Within the Bunga system, local assembly authority was subject to the Magistrate’s Court. The Bantu Authorities Act of 1951 withdrew their remaining power, bringing them under direct control of the government. Traditional authorities were thus bureaucratised. Chiefs and headmen were no longer accountable to their people, but to the government. The purpose of Bantu Authorities was to pave the way for the creation of Bantustans and racial segregation. This caused much anger. 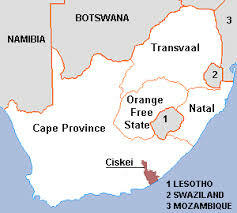 The government of Ciskei was formed in 1961 after the South African government declared it a separate administrative territory. In 1972 the status was elevated to self-governing territory. This coincided with stronger efforts to forcibly remove Xhosa-speakers to Ciskei. 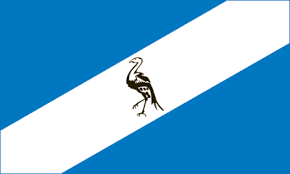 On 4 December 1982, Ciskei became an independent republic, recognised only by the South African government and other ‘independent’ homeland states in South Africa. Most South Africans rejected and fought against the idea of Ciskei. “Ciskeians” lost their South African citizenship. The Ciskei remained with its neighbour, Transkei, among the most neglected areas of South Africa. Jobs in the Ciskei were limited to government or government-sponsored projects, and South African-sponsored factories. Most of these factories were neither economically viable nor legal entities in terms of labour practice. They were mostly Taiwanese owned emerged out efforts to attract foreign investors with promises of cheap labour and repression of unions. These factories became the target of popular anger in the final days of the Apartheid regime. After the 1994 democratic elections in South Africa, bantustans were dissolved and the area known as Ciskei , restored to the Eastern Cape province. 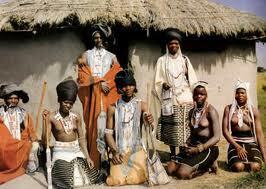 Various Sotho societies arrived in Basutoland and Free State areas in the seventeenth century. King Moshoeshoe I united the Sotho tribes against the Zulu invaders. During the 19th century the territory of Basutoland played an important role in the colonial history of southern Africa. The first formal contact between European immigrants and its indigenous residents was probably made in 1833 when three French missionaries, Thomas Abousset, Eugene Casalis and Constant Gosselin, visited Moshoeshoe, king of the newly formed baSotho nation, and obtained permission to establish a mission station at Morija. They were followed in October 1834 by a research party led by Dr Andrew Smith. After the first visits by missionaries, groups of migrant Dutch farmers, some of whom were granted land for settlement under baSotho customary law, infiltrated the country. In 1836 the territory was invaded by groups of Voortrekkers who, despite having signed a “treaty of friendship” with the baSotho in 1837, declared a separate republic on their lands in 1843. A series of inconclusive territorial wars between the baSotho and Dutch slowly eroded baSotho land holdings in what was to become the Orange Free State despite the intervention of the British at the Cape. Despite having managed to retain his independence against the Voortrekkers, Moshoeshoe realised that the future of baSotho sovereignty lay in a close association with the British. As a result, in 1862, he wrote to the newly-appointed Governor of the Cape, Sir Philip Wodehouse, suggesting that an alliance be formed between the two territories. On 12 March 1868, acting in the face of continued Voortrekker aggression; Wodehouse issued a proclamation declaring Bautoland a British Protectorate. This was formalised by the baSotho on 15 April 1868. In 1871 Basutoland was annexed into the Cape Colony. In 1959 Basutoland became a British Colony and was called Territory of Basutoland. Basutoland gained full independence from Britain on 4 October 1966 and became known as Lesotho. Jonathan Leabua became the country’s first Prime Minister. Lesotho was also rocked by a military takeover, which forced King Moshoeshoe IIinto exile. Constitutional government was restored in 1993 after 23 years of authoritarian rule, which included seven years of military rule. Lesotho is the main supplier of water to South Africa and in turn receives its electricity from its neighbour. It is completely surrounded by South Africa.